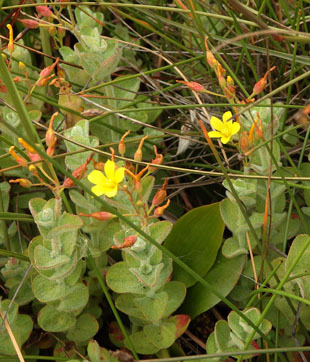 It is found mainly in the Northwest, the Southwest and the South. It is thinly scattered elsewhere. 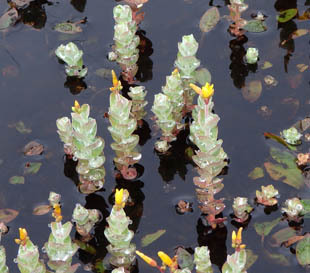 grows in shallow water and may form floating mats. 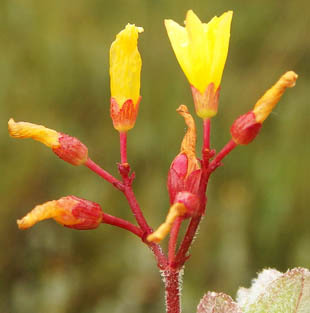 It is declining due to drainage and loss of habitat. 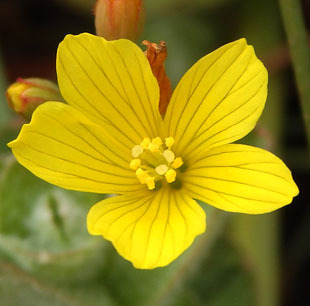 Flowers appear are up to 1.5cm and have 5 yellow, lined petals. They are often not open. 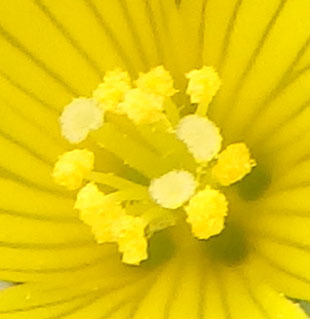 Stamens are in 3 bundles and have yellow anthers. There are 3 styles with capitate pale stigmas. 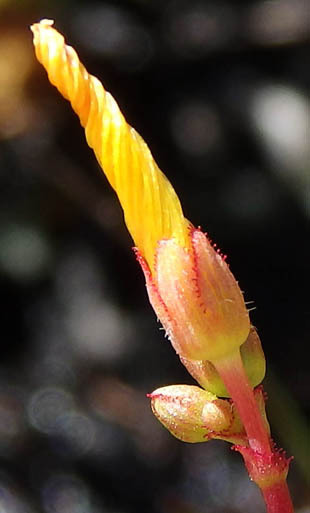 The 5 sepals have stalked red glands. 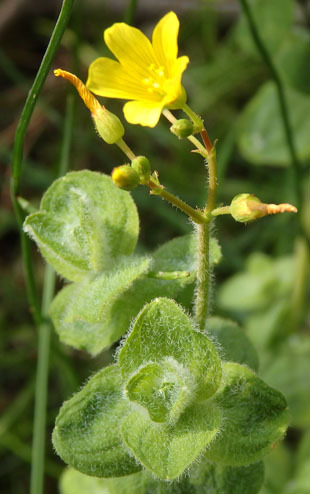 Leaves are broadly oval, grey-green, and extremely hairy. 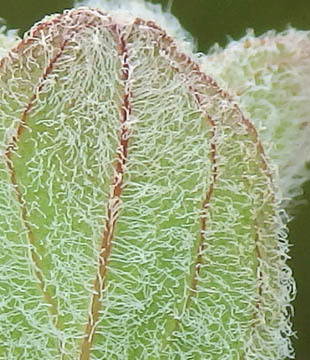 The hairs prevent the leaves from becoming wet. 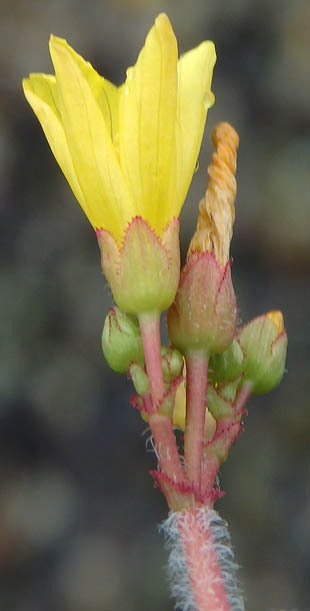 The lower stems are grey and very hairy.